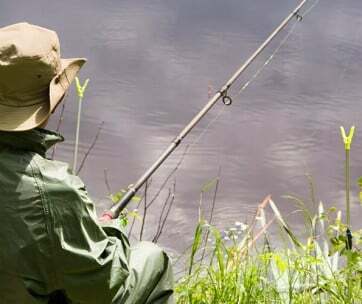 Fishing is one of the most popular pastimes in the United States, whether done as a hobby or as a father and son activity. Catching fish and other marine creatures are arguably easier in freshwater environments such as rivers, creeks, and ponds. However, as the saying goes, there are a lot more fish in the sea. This is why a lot of outdoor enthusiasts prefer to move on to greener pastures once they have mastered the basics. Here, they’ll attempt to catch the more diverse species present in saltwater environments. If you want to be part of the 25 million strong and still growing community of saltwater fishing enthusiasts in America but don’t know where to start, then you’ve come to the right place. We’ll share 15 different tricks with you that’ll make you look like you’ve been fishing in the salt all your life. If you follow these tips, you’ll have no trouble transitioning from freshwater to saltwater fishing. Before you embark on your first saltwater adventure, you should first get yourself some new gear. Remember that as its name implies, saltwater has a higher saline content compared to freshwater environments. This salt speeds up the corrosion of anything metallic it comes into contact with, including your fishing rod, fishing bobbers and anything else attached to it that is made of metal. One solution to this is to get a top of the line fishing rod that is more resistant to corrosion. Another would be to properly maintain your equipment by washing them after every use and spraying it down with a silicon-based lubricant like WD-40 once it dries. 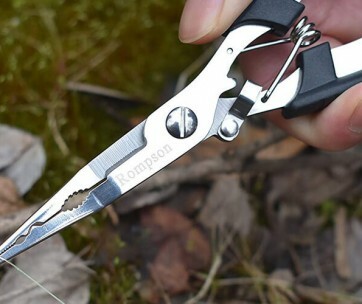 The same goes for your fishing pliers as well. If you’re just starting out with saltwater fishing, it would be a good idea to make use of a spinning reel. This type of reel will help you cast longer lines compared to a conventional reeling system. If you use a spinning reel, there are also fewer chances of backlashes and birds’ nests happening. Use a high quality, a medium-weight spinning combo that is rated for a 10 to 25 test line. This will yield the best results, especially for beginner fishing enthusiasts. A 10 to 25 test line will have you covered whether you’re fishing on a pier or in the middle of the sea. It’s also important for you to get the right kind of tackle for saltwater fishing. You can get away with using basic light to medium tackles when you’re freshwater fishing; however, saltwater calls for something with a bit more weight to it. You’ll never know what you’ll encounter in the deep, open sea. If your fishing reel feels a bit sticky or if it gets stuck every now and again, it could be due to a problem with the drag. Simply put, the drag is a set of friction plates that you can have on different settings depending on how loose or tight you want it to be. If you’re experiencing a “sticky” drag, put the reel on a rod, hold it at around 45 degrees, then have an assistant pull off a bit of line while briskly walking away. If the rod bobs up and down as they walk away, you may want to get a replacement drag before going back out to fish. If you’re using a fly fishing or travel rod, it’s likely that your equipment is made out of a couple of rod building ferrules. These are what connect two blank rod segments together. While you may have gotten the hang of building your rod, you may still have a bit of trouble pulling them apart. 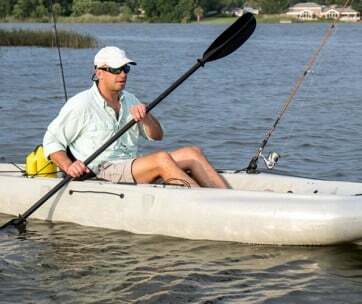 If you’re having trouble “unsticking” two-piece rods, some more experienced fishermen suggest putting the rod behind your back first and then pulling. For them, this works more often than trying to separate them from the front. 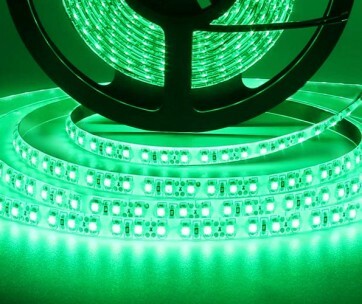 You should also invest in high-quality fishing line if you’re planning to go saltwater fishing. Similar to what could happen with your tackle, your line could also be damaged by the heightened saline content in saltwater. You may think you’ve struck gold when you bought loads of line at a bargain price. However, it won’t be worth it if that cheap fishing line snaps before you’re able to get the biggest catch of your fishing career. Traditionally, saltwater fishers have used monofilament lines, but in recent years, the popularity of braided lines has grown rapidly. The latter has a thinner diameter despite being of the same pound test. This lets you put more line into your reel, effectively increasing its overall capacity. They are easier to cast and more resistant to abrasion. No matter which type of line you use in your outdoor adventure, try your best to get one that’s made of fluorocarbon, which becomes invisible to fish once it’s in the water. Also, make sure you have a lot of spare lines in your tackle box. Get rid of cracked guides as much as possible. They may be hard to see, but taking the time to remove them will be worth it since they won’t be able to damage your fishing line. A trick you can use to see if you have a cracked guide is to pull a piece of cotton or wool through it. You could also get an assistant to pull down on the tip of the rod to make this process a bit easier. The next thing you have to consider when you’re going saltwater fishing is your hook. This may seem like a trivial thing to a lot of saltwater enthusiasts, but if you use the wrong hook you may end up catching nothing worth noting. If the hook you’re using is much bigger than your bait, it may look unnatural, which discourages most fish to go near it. On the other hand, if your hook is too small for the bait that you’re using, then fishes may just snag your bait right off the hook. You could use a J hook that could be smooth or have barbs as a bait holder. This type of hook is ideal for chunk or strip baits. Another type of hook you could use is a live bait hook, which is meant to be used with live baitfish. With the way the live bait hook is designed, it easily goes through the nose and under the collar of the bait. The most recent addition to the list is the circle hook, which has grown ever so popular with live release fishermen. This type of hook is unique, as it hooks on the corner of a fish’s mouth instead of on its gullet. This minimizes the damage to the fish. The type of knot you use to connect your fishing line to the hook should also be considered. There are different knots you can do that suit all kinds of purposes in saltwater. The double Palomar knot is a favorite among saltwater fishers due to the fact that it works well but is easy to tie. Once you get how to tie your preferred type of knot down, make sure that it’s sturdy and prepared for a tug-of-war with any sea creature – no matter how big it is. A good fisherman should also know how to fix and avoid common knot problems. Don’t cut too close to the knot, as it may unravel once it makes contact with the water. 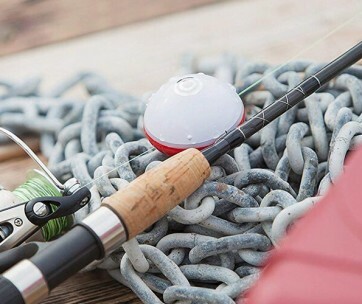 Every now and again, you should also trim off a little bit from the end of your fishing line, so it won’t compromise the entire line’s strength. To properly clean your remaining fishing line after using it in saltwater, soak it in a bucket of fresh water for a couple of hours. One of the first things that pop into people’s heads when they hear about fishing is the bait. Usually, they’d think about worms or colorful fishing lures when you talk to them about this. However, there are important factors that differentiate the baits from lures. Baits are usually alive before they’re used. The most effective baits are those that match the natural diets of the fishes in the environment you’re trying to catch them in. These could be clams, mussels, worms, shrimps, or squids. 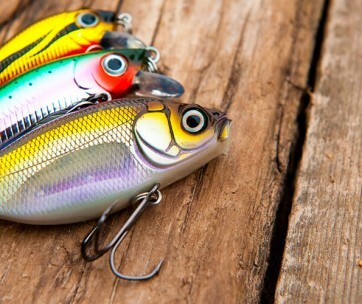 On the other hand, lures are artificial, which is ideal for those who want to skip natural bait. They can be hard – plugs, poppers, and spoons – or soft – swimbaits, grubs, and slugs. Most of the time, they are colorful in order to entice fishes to swim closer to them. How you move the bait is also important. Try using a combination of retrieve speed and natural action to closely mimic how an actual fish moves. Baiting isn’t the only thing you can do to draw a fish’s attention. Chumming can also help bring fish from faraway places to where you’re stationed. When chumming, it is important that you use fresh or fresh-frozen ingredients for the best results. You should also learn how to read tides and currents, as well as have good judgment on when to use your chum supply. Start slowly and gradually increase the amount you use until you notice a good amount of fish swimming around. If you’re trying to catch a specific fish – let’s take yellowtail kingfish as an example – many fishing enthusiasts have found that using pink balloons to hold up a live bait attracts more of that type of fish. Just remember that when you’re using balloons for fishing, tie it off the rod end of the swivel. If you tie it on the bait end, you’re almost guaranteed to experience a tangled leader line. As mentioned before in this article, if you want to become an effective saltwater fisher, you should also know how to read tidal movements. You need to learn how to use the changing tides to your advantage. Experts recommend going to your preferred fishing spot at least an hour before the high tide arrives. This will give you at least a half hour of uninterrupted, quality fishing time. Similar to how you learn tidal behaviors to become an effective saltwater fisher, you should also take the time to study marine charts. These help you locate where the most fish in an area is by telling you where food is readily available. In most cases, this’ll be in the mouth of a creek, channel, or inlet. It may also be in an estuary where the tide falls. Marine charts are easily available on site or even online if the fishing spot you’re going to is a frequented one. Finally, if you want to enjoy saltwater fishing for a long time, be sure that you know how to properly return the fish you catch to their rightful home. If you just toss a fish back after it’s caught, it’ll most likely die. You should move it back and forth in still water or face it upstream. This will jumpstart the fish’s respiratory system to bring it back to life faster. You can let the fish go once you feel it moving again. If you follow these 15 simple tips and tricks, you’ll be guaranteed to look like a pro even if it’s just your first-time saltwater fishing. Who knows? If you put in the effort to take these pieces of advice to heart, you may just be in for the catch of a lifetime. Saltwater Fishing Tips for Freshwater Fishing Enthusiasts, Thought Co.